La st week we welcomed Chiara Giovetti who came from Rome to visit our Diocese. Chiara works at the project office of the Consolata Missionaries and was instrumental in helping our diocese receive support for a couple of projects. 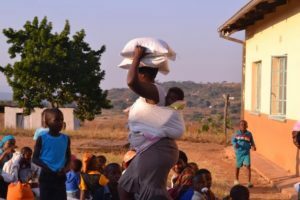 One of them allows us to provide food to about 750 children (100 of which are under 18 months’ old) in three parishes: Good Shepherd (Siteki), St Peregrine’s (Bulandzeni) and Holy Rosary (Mankanyane). We were able to visit two of these centres during her stay in the country. It was also a good opportunity for me to be there. “More strength to Hope” is the name of a project that has started at “Hope House”, the hospice of the Diocese of Manzini. 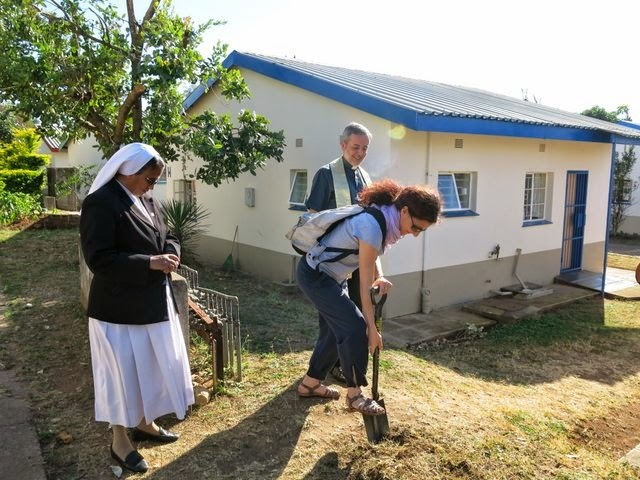 The details of the project were prepared by Sr Elsa Joseph MSMHC but the name was chosen by Chiara Giovetti, a lay woman working in Rome at the project office of the Consolata Missionaries. It immediately clicked.